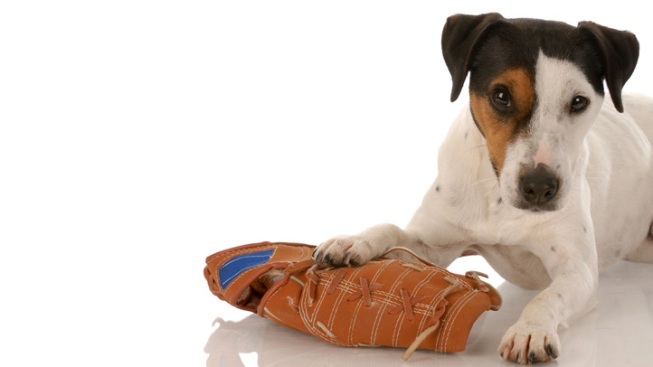 Game vs. Braves begins at 1:05 p.m.
You can enjoy a hot dog with your real dog this weekend. Saturday's Nats game is the first of four Pups in the Park events this season, when the park is open to the furkids. The game against the Miami Marlins (1:05 p.m.) will include a pre-game pup parade. All humans will have to buy a ticket in the Outfield Reserved section for $22. Dog tickets are $8 each, with proceeds benefiting the Washington Humane Society. More Pups in the Park games are set for June 2 (vs. Braves), July 7 (vs. Rockies) and Sept. 22 (vs. Brewers). Pups in the Park ticketholders must enter through the Right Field Gate. You must sign a waiver that your dog's up-to-date on vaccinations. Dogs are not allowed in other concession areas of the ballpark. You may leave your dog in the seats with your guest or with the pet sitters located on the landing area. There's a water and relief area in the Family Picnic Area near Section 143.